With a maximum corporate tax rate of 16.5 per cent, and no tax on sales, dividends or capital gains, Hong Kong is one of the most tax-friendly economies in the world. Foreign investments are not subject to any specific approval process, and the Hong Kong tax regime does not differentiate between foreign and domestic investors, except in relation to the acquisition of residential property. Hong Kong also promotes shariah investment, with the Hong Kong Monetary Authority indicating its aspiration for Hong Kong to be an Islamic finance hub.2 Since 2014, a number of banks have begun offering shariah-compliant funds. Coupled with its close proximity to and connection with Mainland China, Hong Kong is a popular gateway for inward investment into Mainland China by multinational corporations. Although not an OECD member, Hong Kong is committed to supporting international efforts on base erosion and profit shifting (BEPS) and the Common Reporting Standard (CRS). Hong Kong joined the inclusive framework for implementation of the package of measures against BEPS (BEPS Package) on 20 June 2016 as a BEPS Associate. Following public consultation on the proposed measures, legislative amendments to implement CRS and automatic exchange of information were passed back in 2016 and amendments to implement the four minimum standards of the BEPS Package on 13 July 2018. The most common business entities used in Hong Kong are companies, partnerships and trusts. A company incorporated under Hong Kong law may be limited by shares, limited by guarantee or unlimited, with a company limited by shares being the most common corporate form. If a company is limited by shares, the liability of the shareholders is limited to the amount unpaid on their shares. A company limited by shares may either be a public or a private company. Public and private companies mainly differ in their ability to offer their shares to the public for subscription. Private companies must also cap the number of shareholders at 50. Both types of company are required to appoint a company secretary who is a Hong Kong-resident individual, or a company with a registered office or place of business in Hong Kong. However, a private company only needs to have one director, and at least one director must be an individual. Public companies, on the other hand, need at least two directors. Profits tax is charged on every person carrying on a trade, profession or business in Hong Kong. A 'person' under the IRO is defined to include individuals, corporations, partnerships and bodies of persons. Profits tax would be charged on the assessable profits that arose in or were derived from Hong Kong during the basis period. In this context, control means directly or indirectly owning more than 50 per cent in aggregate of the issued capital of another entity, or an entitlement to exercise or control the exercise of more than 50 per cent of the voting rights in another entity, or an entitlement to more than 50 per cent in aggregate the capital or profits of another entity. The two-tiered system applies to a natural person, a body of persons, as well as corporations, partnerships and trusts. Persons other than corporations were previously taxed at a flat rate of 15 per cent on their assessable profits. Under the two-tiered system, the first HK$2 million of profits would be taxed at the reduced rate of 7.5 per cent and the remaining at 15 per cent. Under the Partnership Ordinance6 a partnership is established when a group of persons carry on a business in common with a view to profit. Generally, no formalities are required to establish a partnership. However, a written partnership agreement is usually used to govern the relationships between the partners. The assessable profits of a partnership are charged as though the partnership is a single entity.8 A partner's individual tax liability is calculated by apportioning the partnership's assessable profits between each of the partners in the ratio in which the profits or losses of the basis period were divided. Thereafter, losses carried forward from previous years are deducted before applying the tax rate applicable to the individual partner to that partner's share of the assessable profits. Trusts are commonly used in Hong Kong as an investment vehicle. A trust comes into existence when one person transfers a specific property to the trustee with the intention that it will be applied for the benefit of another person (i.e., the beneficiary). A trustee is subject to profits tax on its own profits arising from the provision of trustee services. Due to the separation of legal and beneficial ownership, a trustee will not be personally liable for tax charged on profits of the underlying entities of the trust. To the extent that the trustee itself carries on business, those profits will be subject to tax. A corporate trustee will, therefore, be subject to tax at a rate of 8.25 per cent on the first HK$2 million of profits (subject to the connected-entity rules) and at 16.5 per cent on the remaining profits. Whether a person is carrying on a trade, profession or business in Hong Kong is a question of fact. In addition, the taxpayer's intention to trade and the existence of a commercial purpose for the transaction are also relevant to such a determination. It is not necessary for all badges of trade to be present before a taxpayer will be found to be trading. The definition of 'business' is much wider than 'trade'. A company incorporated for the purpose of making profits for its shareholders that puts any of its assets to any gainful use is presumed to be carrying on a business.9 Business can be more passive than trade, with the receipt of share profits and fixed annuities having been held to be business.10 Similarly, the receipt of income by a holding company and the mere activity of depositing have been held to be carrying on a business as well.11 One-off transactions may also fall under the definition of 'business' under the IRO. Having a registered office in Hong Kong of itself will not necessarily amount to carrying on a business in Hong Kong. A 'profession' is not defined in the IRO. Case law indicates that it refers to work requiring either purely intellectual skill or manual labour dependent upon purely intellectual skill.12 If a person practices a profession but is an employee, he or she is not considered to be carrying on a profession for the purpose of profits tax. On the source of profits, the IRO defines 'profits arising in or derived from Hong Kong' to include 'all profits from business transacted in Hong Kong, whether directly or indirectly through an agent'.13 According to Commissioner of Inland Revenue v. Hang Seng Bank Limited,14 the process of determining the source of profit involves examining the gross profit of the transaction and what the taxpayer has done to earn the profit in question. However, the test outlined in this case is not consistently followed in subsequent case law, many of which revert back to an operations test (i.e., an examination of the operations of the taxpayer that contributed to the generation of net profits). To provide some guidance and clarity in this area, the Hong Kong Inland Revenue Department (IRD) issued Departmental Interpretation and Practice Note (DIPN) No. 21. DIPNs are not legally binding, but are indicative of the IRD's views on various legal issues. According to DIPN No. 21, transactions must be looked at separately and the profits of each transaction considered on their own. Where the gross profit from an individual transaction arises in different places, they can be apportioned as arising partly in and partly outside Hong Kong. Further, the place where day-to-day investment decisions are undertaken does not generally determine the locality of profits. The absence of an overseas permanent establishment (PE) of a Hong Kong business does not of itself mean that all the profits of that business arise in or are derived from Hong Kong. However, practically, the IRD is less likely to accept an offshore profits claim in the absence of an offshore presence of the taxpayer. contributions made by individual taxpayers to mandatory provident funds in Hong Kong. As a general rule, capital expenditures are not deductible. However, there are certain exceptions. For example, expenditure on research and development related to a taxpayer's trade, profession or business is deductible provided that the expenditure is not on land or buildings, and that the payment is to an approved research institute for research and development related to that trade, profession or business or that the payment is to an approved research institute, the object of which is the undertaking of research and development relating to that particular class of trade, profession or business. To promote technological progress in local industries, the purchase of patent rights and rights to know-how are also deductible. In addition, payments for technical education and approved charitable donations may also be deducted from the assessable profits. Depreciation is allowed for qualifying industrial and commercial buildings, and plant and machinery. For industrial buildings, a taxpayer who has incurred capital expenditure on the construction of an industrial building or structure is allowed a 20 per cent initial deduction of the capital expenditure. Thereafter, a 4 per cent deduction of the original capital expenditure is allowed annually. A taxpayer with an interest in a commercial building or structure who has incurred construction costs can claim a deduction of 4 per cent annually. No depreciation deduction is available for commercial buildings that are more than 25 years old. Capital expenditure on plant and machinery is allowed an initial deduction of 60 per cent in the year in which the expenditure is incurred. Thereafter, depending on the type of asset, depreciation is allowed on a reducing-value basis at 10, 20 or 30 per cent. A super tax deduction scheme for research and development (R&D) expenditure was introduced on 2 November 2018. Under this new scheme, a 300 per cent tax deduction will be offered for the first HK$2 million of qualifying R&D expenditure and for expenditure in excess of HK$2 million, HK$6 million plus a 200 per cent tax deduction. Hong Kong does not impose tax on capital gains. However, the issue as to whether income constitutes trading profits or non-taxable capital gains arises frequently in relation to the disposal of real property. Relevant factors include the frequency of the transactions, the accounting treatment adopted by the taxpayer, how long the property was held, how the property was financed and developed, and the reason for its sale. Profits obtained from properties acquired, developed and then sold are generally regarded as trading profits. Hong Kong allows losses to be carried forward indefinitely. The profits tax rate for companies is 8.25 per cent for the first HK$2 million of profits and 16.5 per cent for profits in excess of HK$2 million, subject to restrictions on connected entities discussed in Section II.i. If a company is a partner in a partnership, profits tax for its share of assessable profits is also charged according to the same two-tiered system of 8.25 per cent and 16.5 per cent. The rate for unincorporated businesses is 7.5 per cent for the first HK$2 million of profits and 15 per cent for profits in excess of that amount, subject to restrictions on connected entities as well. 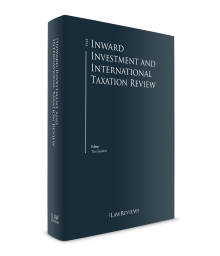 A single tax authority – the IRD – exists in Hong Kong, and is responsible for administering the IRO. Tax is charged on the assessable profits for the year of assessment. The assessable profits for a business that makes up annual accounts are calculated on the profits of the year of account ending in the year of assessment. Generally, profits tax returns should be filed within one month of the date of issue. However, under the IRD's Block Extension Scheme, this may be extended depending on the accounting date of the company. If a business objects to a tax assessment issued by the IRD, it has the right to file an objection within one month of the issuance of the assessment with the IRD, which will then render a determination that is subject to appeal to the IRD Board of Review as well as the Hong Kong courts. No group loss relief is available to companies that are members of a group in Hong Kong. Hong Kong imposes stamp duty on instruments of transfer rather than the transaction itself. Instruments relating to the sale and lease of real property are subject to stamp duty, as are instruments relating to the sale of Hong Kong stock. Hong Kong stock is defined to include equity and debt instruments registered on a Hong Kong register. Therefore, if an offshore company maintains its share register in Hong Kong, any transfer of shares will be subject to stamp duty. Stock also includes units in unit trusts that maintain their registers in Hong Kong. Hong Kong bearer instruments such as promissory notes and bills of exchange are also subject to stamp duty. However, owing to the range of exemptions applicable to these instruments, they are rarely subject to stamp duty in practice. Owing to the territorial tax system of Hong Kong, whether profits tax is chargeable under domestic law depends on whether the source of profits is in Hong Kong. As part of the amendments of the IRO to introduce comprehensive transfer pricing rules passed on 13 July 2018, there are further provisions to clarify what constitutes a permanent establishment in Hong Kong, especially with regard to entities resident in jurisdictions with which Hong Kong has not concluded a double taxation agreement (DTA). However, it is important to bear in mind that the territorial principle continues to apply despite the introduction of detailed rules on the definition of permanent establishment. Whether a person resident in a territory with which Hong Kong has concluded a DTA has a permanent establishment in Hong Kong is to be determined in accordance with the relevant provisions of the DTA concerned. For a non-DTA territory resident person, it has a permanent establishment in Hong Kong if it has a fixed place of business in Hong Kong through which the business of the enterprise is wholly or partly carried on. Carrying out certain preparatory or auxiliary activities would not constitute having a permanent establishment in Hong Kong. However, the fact the activities carried on does not reach the threshold of a permanent establishment does not necessarily mean that it would not be chargeable to tax in Hong Kong. If the activities carried out constitute carrying on a trade, profession or business within the definition of Section 14 of the IRO, any profits derived from such activities sourced from Hong Kong would nevertheless be taxable profits. In general, and as a matter of policy, Hong Kong does not offer tax incentives. However, this principle has been relaxed in recent years with the result that four industries currently enjoy lower statutory tax rates. the lender's right to use and enjoy that interest is not constrained by a contractual or legal obligation to pass that interest to any other person, unless the obligation arises as a result of a transaction between the lender and a person other than the borrower dealing with each other at arm's length. In addition, there is a reduction in the profits tax rate to 8.25 per cent for qualifying CTCs, which are dedicated CTCs, multifunction CTCs and CTCs by determination. A dedicated CTC is one that carries out one or more corporate treasury activities that stands alone. It would generally be prohibited from carrying out other activities. Multifunction CTCs can engage in a certain level of income-generating activities but still qualify for the profits tax concession on qualifying profits. A CTC by determination is a CTC that does not meet the conditions of either a dedicated CTC or a multifunction CTC, but may obtain a determination from the IRD stating that it is a qualifying CTC. Qualifying profits include lending transactions, corporate treasury services and corporate treasury transactions with non-Hong Kong associated corporations. These CTC incentives became effective from 1 April 2016. Captive insurers enjoy a 50 per cent reduction in profits tax on their business of insuring offshore risks, thereby also reducing the effective corporate tax rate to 8.25 per cent. From 30 July 2018, the profits tax exemption previously enjoyed by publicly offered open-ended fund companies and certain offshore funds was extended to onshore privately offered open-ended fund companies (Private OFCs). only invest in permissible asset classes, which should largely involve securities and futures contracts, with a 10 per cent de minimis limit for investing in non-permissible asset classes. Through legislative amendments passed in July 2017, Hong Kong now offers a tax concession to qualifying aircraft lessors and aircraft leasing managers. Qualifying aircraft lessors enjoy an 8.25 per cent tax rate on their assessable profits. In addition, the assessable amount of leasing income of a qualifying aircraft lessor is deemed to be 20 per cent of the gross leasing income less deductible expenditure. Effectively, the profits tax payable on the assessable profits of a qualifying aircraft lessor is reduced to 1.65 per cent of its net profit (ignoring depreciation). An 8.25 per cent profits tax rate also applies to the assessable profits of aircraft leasing managers providing management services (which also include aircraft financing activities) to qualifying aircraft lessors. These tax concessions apply to all profits derived on or after 1 April 2017. Any aircraft lessor or manager who wishes to take advantage of the regime must make a written election with the IRD. The election is irrevocable. 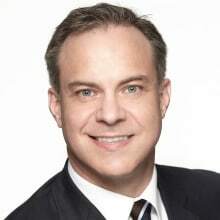 an aircraft leasing manager must ensure that at least 75 per cent of its profits are derived from the aircraft leasing management business, and at least 75 per cent of its assets are deployed for such business. If an aircraft lessor or manager fails to satisfy any of the conditions above, it will automatically be disqualified and cannot opt back into the regime. No grace period is allowed. Hong Kong has no withholding tax. However, sums paid as royalties to non-residents for the right to use intellectual property are subject to a tax similar to withholding tax. The withholding tax rate is 4.95 per cent if the recipient is a corporation and 16.5 per cent if the two parties are associates. However, even if the recipient is an associate, as long as no person carrying on a trade, profession or business in Hong Kong has at any time held an interest in the ownership of such intellectual property, the normal 4.95 per cent rate would apply. For payments to unincorporated businesses, the rates are 4.5 and 15 per cent respectively. There is no withholding tax on interest or dividends. There are no exclusions or exemptions applicable. Jurisdictions with which Hong Kong has concluded comprehensive DTAs include Austria, Belgium, Belarus, Brunei, Canada, the Czech Republic, Finland, France, Guernsey, Hungary, India, Indonesia, Ireland, Italy, Japan, Jersey, Korea, Kuwait, Latvia, Liechtenstein, Luxembourg, Mainland China, Malaysia, Malta, Mexico, the Netherlands, New Zealand, Pakistan, Portugal, Qatar, Romania, Russia, Saudi Arabia, South Africa, Spain, Switzerland, Thailand, the United Arab Emirates, the United Kingdom and Vietnam. Dividends from a company subject to Hong Kong profits tax are not included in profits. No part of the profits or losses of a trade, profession or business carried on by a person subject to profits tax is included in ascertaining profits on which any other person is subject to profits tax. Interest payable upon money borrowed by a person for the purpose of producing assessable profits is deductible, subject to certain restrictions. In general, interest will be deductible if borrowed from a foreign or domestic financial institution or if borrowed from a person subject to tax in Hong Kong on the interest received. Generally (aside from the CTC rules discussed in Section V.i), interest paid to a corporation outside of Hong Kong will not be deductible. In addition, legal fees, procuration fees, stamp duties and other expenses in connection with the borrowed money are also deductible. A company must not make a distribution except out of profits available for the purpose, where 'distribution' is defined to include every form of distribution of a company's assets to its members.17 Profits available for distribution are the company's accumulated realised profits less accumulated realised losses. Return of capital is permitted under the CO for a company limited by shares through a reduction of share capital.18 This is generally used when changes in a company's business result in excessive capital in the company. A reduction of capital is tax-neutral in Hong Kong. As Hong Kong does not impose tax on the sale of capital assets, capital gains on the sale of shares are not taxable. It is a question of fact as to whether shares are capital or trading assets. As discussed previously in Section III.ii, instruments of transfer of Hong Kong stock are subject to stamp duty. The CO introduced a court-free amalgamation scheme on 3 March 2014 for intra-group mergers. Under this scheme, two or more Hong Kong-incorporated, wholly owned companies within the same group could amalgamate and continue as one. However, neither the CO nor the IRO itself currently contain provisions on the tax consequences of such amalgamation. These rules are under development. There is no exit tax for Hong Kong. Use of artificial or fictitious transactions under Section 61 of the IRO.19 A fictitious transaction is one that was never intended to be carried out by those who were ostensibly parties to it.20 An artificial transaction includes transactions that have been carried out but are commercially unrealistic.21 Commercially realistic transactions with incidental tax benefits could not be struck down under this provision. Implementation of transactions with the sole or dominant purpose of producing a tax benefit under Section 61A of the IRO. This section aims to strike down blatant or contrived tax-avoidance schemes. If a transaction is found to have the sole or dominant purpose of obtaining a tax benefit, then the transaction as a whole or a part of it will be disregarded. Sale of loss companies under Section 61B of the IRO. If a change in the shareholding of a company has been effected, and the sole or dominant purpose of the change in shareholding was to use a tax loss to obtain a tax benefit, then the set-off of a loss may be disallowed. Hong Kong has no controlled foreign corporation legislation. Hong Kong introduced its first ever transfer pricing legislation in 2018 through substantial amendments to the IRO. These amendments codify the arm's-length principle,22 which, until recently, has been applied in Hong Kong through informal practice rules rather legislative provisions. This means that all transactions with associated parties must be conducted on arm's-length terms. In addition, the amendments introduce transfer pricing documentation requirements, namely local and master files, and country-by-country reporting. The master file should contain information on the group's structure, the location of all the group entities, high-level information about the group's global business operations, the group's transfer pricing policies and consolidated financial statements. The local file should describe the business of the relevant entity, record information and transfer pricing documentation on each material category of related-party transactions and contain the entity's financial statements. However, if a certain transaction falls below the relevant monetary thresholds, then it would not be necessary to cover the transaction in the local file. Under Section 88A of the IRO, the IRD is empowered to make advance rulings upon an application made by a person. An advance ruling may relate to how any provision of the IRO applies to the applicant or to the arrangement described in the application. However, it must not relate to the imposition or remission of a penalty, the correctness of a return supplied by a person, the prosecution of a person or the recovery of any debt owing by any person.27 The IRD will not entertain applications for arrangements that are hypothetical or speculative, and a ruling will only be given for a seriously contemplated arrangement. Where a ruling has been made, such ruling applies to the arrangement for the period specified in the ruling. Each ruling is confined to its specific terms and cannot be relied on as a precedent for similar arrangements in the future. Advance ruling applications are subject to a charge calculated on the basis of cost recovery. The most significant development in 2018 would be the enactment of the first transfer pricing legislation in Hong Kong. Substantial amendments were made to the IRO not only to codify the arm's length but also to introduce measures for Hong Kong to comply with the four minimum-standards of the BEPS Package. This is a culmination of Hong Kong's commitments to support international efforts on BEPS. Throughout 2018, Hong Kong continues to expand and strengthen its automatic exchange of information (AEOI) network. Whereas Hong Kong first adopted the OECD CRS by way of an amendment to the IRO back in 2016, by 1 January 2017, all Hong Kong financial institutions were required to comply with the due diligence and reporting obligations under the legislation. However, by June 2017, Hong Kong had expanded the list of reportable jurisdictions significantly from less than 10 to 75. Given the number of information exchange partners, in February 2018, the Hong Kong government further amended the IRO to allow entry into the international multilateral treaty for automatic exchange of information. The Hong Kong government has indicated its plan to add another 51 jurisdictions to the information exchange network; as such, the number of reportable jurisdictions may increase well beyond the current 75 jurisdictions to 126 jurisdictions. Starting from 6 September 2018, an arrangement between Mainland China and Hong Kong for conducting AEOI came into effect. Information exchange with Mainland China as well as 49 other jurisdictions began at the end of September 2018. On the profits tax front, as discussed in Section II.i, Hong Kong has introduced a two-tier profits tax system for enterprises, by reducing the profits tax rate to 8.25 per cent on the first HK$2 million of profit for companies and 7.5 per cent for non-incorporated bodies, subject to the connected-entity rules. The standard 16.5 per cent would apply to profits in excess of the first HK$2 million (15 per cent in the case of non-incorporated bodies). The introduction of a two-tier profits tax system will likely bring about significant complexity to the tax system in Hong Kong, both in terms of provisions for implementation of the system and provisions for anti-avoidance. Hong Kong prides itself on maintaining a simple tax system with a low effective tax rate, a principle that was enshrined in the Basic Law,28 the quasi-constitutional document governing the operation of the Hong Kong Special Administrative Region. In general, the government continues to satisfy this objective, but the system's complexity has increased significantly in recent years, largely as a result of international pressure. Tax treaties, once unknown to Hong Kong, have become part of the tax landscape and, while providing some taxpayers with additional certainty, have introduced additional complications. Similarly, concepts such as transfer pricing and exchange of information were once unknown, but have now become part of domestic law. Notwithstanding such development, Hong Kong retains an enviable competitive position with respect to taxes, as complexity has increased in most other jurisdictions at an even faster pace. Moreover, the absence of any sales taxes, significant duties, withholding taxes on dividends and interest, or tax on capital gains makes it an attractive investment location, particularly as a gateway to Mainland China, with which Hong Kong enjoys a privileged relationship. 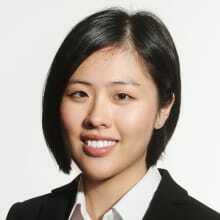 1 Steven Sieker is a partner and Wenwen Chai is an associate at Baker McKenzie. 3 Inland Revenue Ordinance (Chapter 112 of the laws of Hong Kong). 6 Partnership Ordinance (Chapter 38 of the laws of Hong Kong). 7 Limited Partnership Ordinance (Chapter 37 of the laws of Hong Kong). 9 American Leaf Blending Co Sdn Bhd v. Director General of Inland Revenue (Malaysia) 1978 STC 561. 10 IRC v. Korean Syndicate Ltd (1921) 3 KB 258; South Behar Railway Co Ltd v. IRC (1925) AC 476. 11 D15/87 Inland Revenue Board of Review Decisions Vol 2, 373. 12 IRC v. Maxse (1919) 1 KB 647. 14 Commissioner of Inland Revenue v. Hang Seng Bank Limited (1990) 1 HKRC. 16 Wharf Properties Limited v Commissioner of Inland Revenue  AC 505. 17 Sections 297(1) and 290, Companies Ordinance (CO) (Chapter 622). 18 Section 210, Companies Ordinance (Chapter 622). 20 Commissioner of Inland Revenue v. Douglas Henry Howe (1977) 1 HKTC 936. 21 Cheung Wah Keung v. Commissioner of Inland Revenue (2003) HKRC. 27 Section 1, Part 1 of Schedule 10, Inland Revenue Ordinance. 28 Article 108, Basic Law.